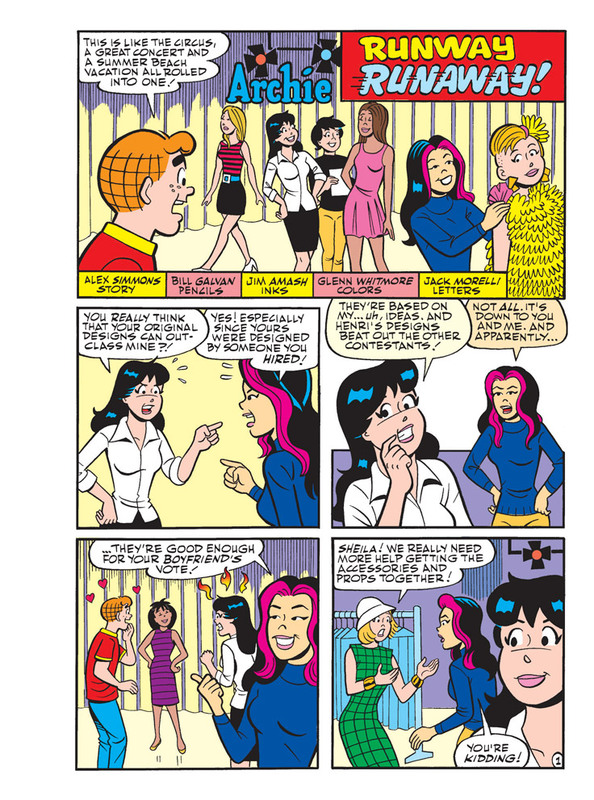 BRAND NEW LEAD STORY: “Run Away Run Way” – The Veronica Lodge/Sheila Wu Fashion wars are in full swing, and the school career week projects have brought it to a head! 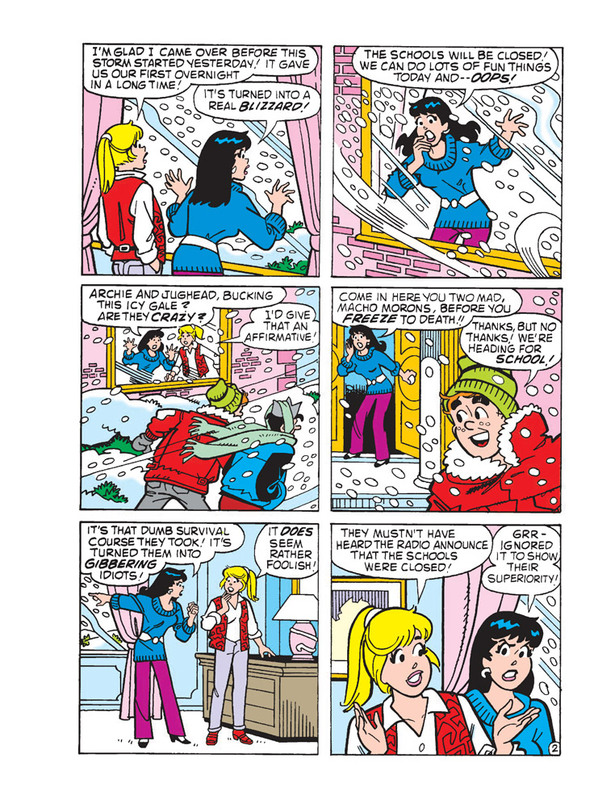 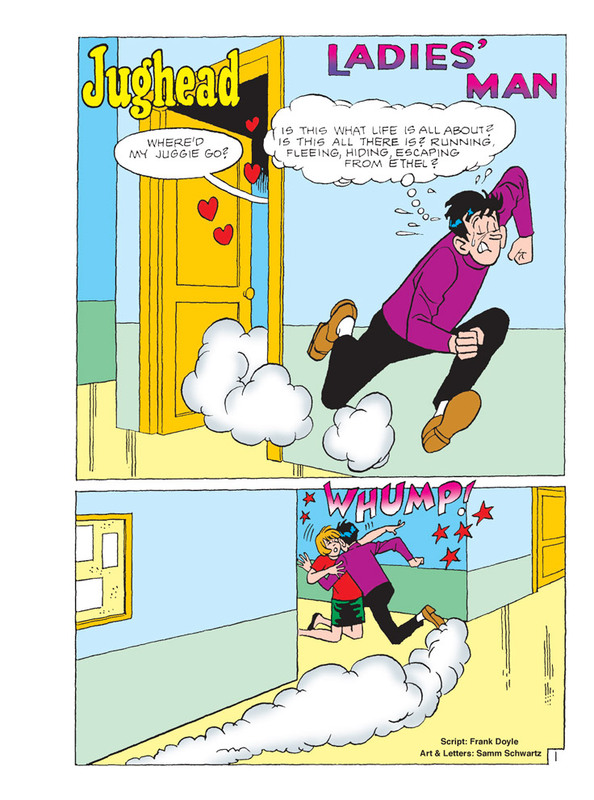 When Veronica tricks accident-prone Archie into helping Sheila out with her runway project, it’s sure to be a fashion catastrophe! 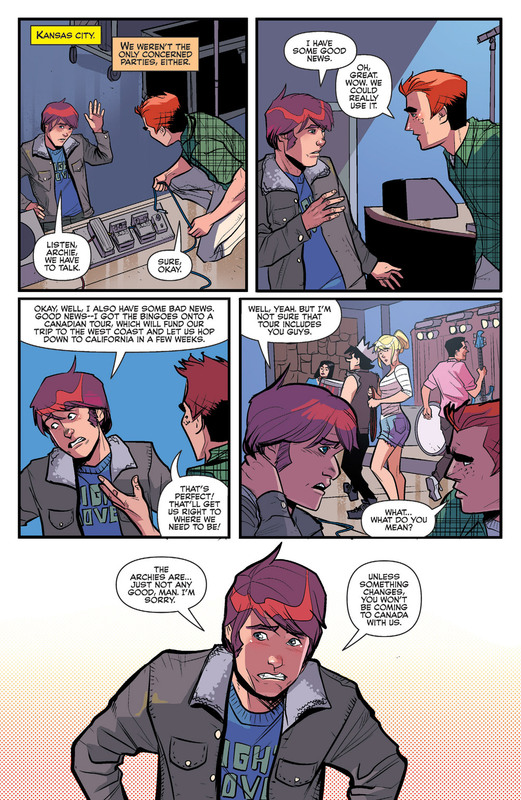 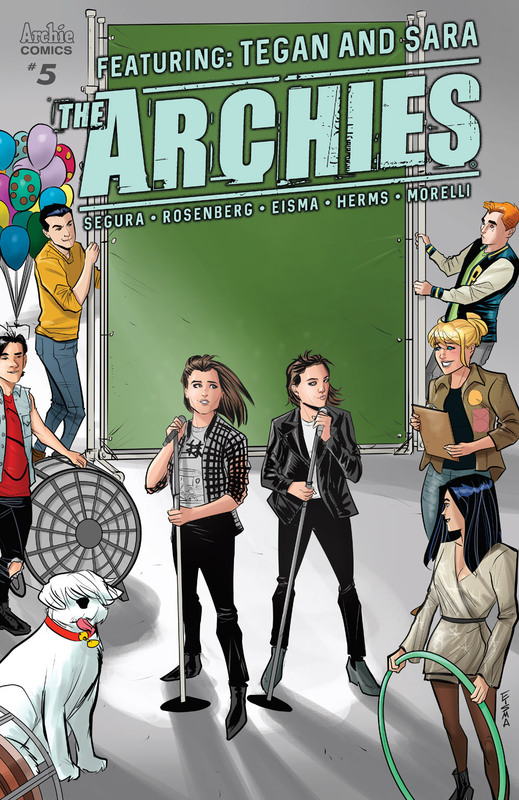 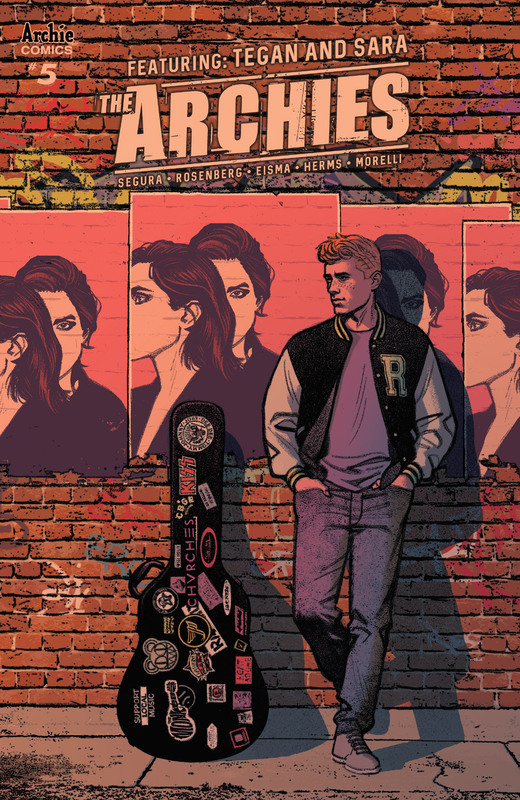 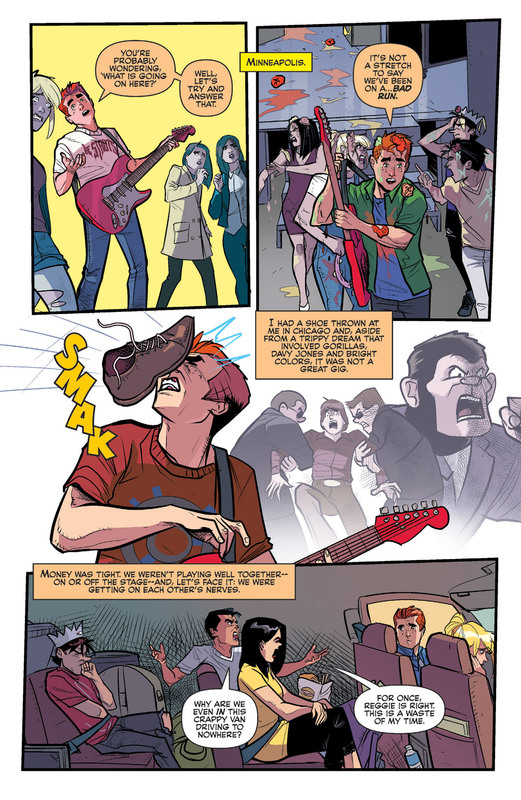 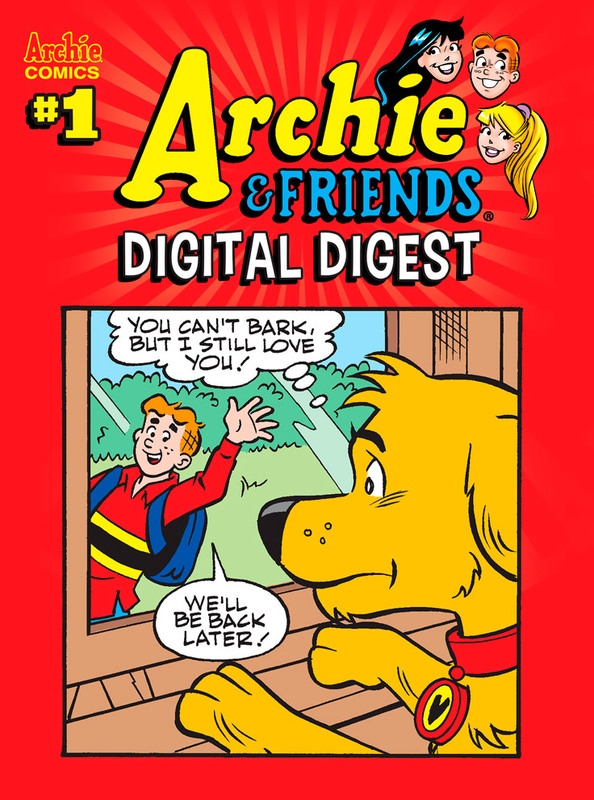 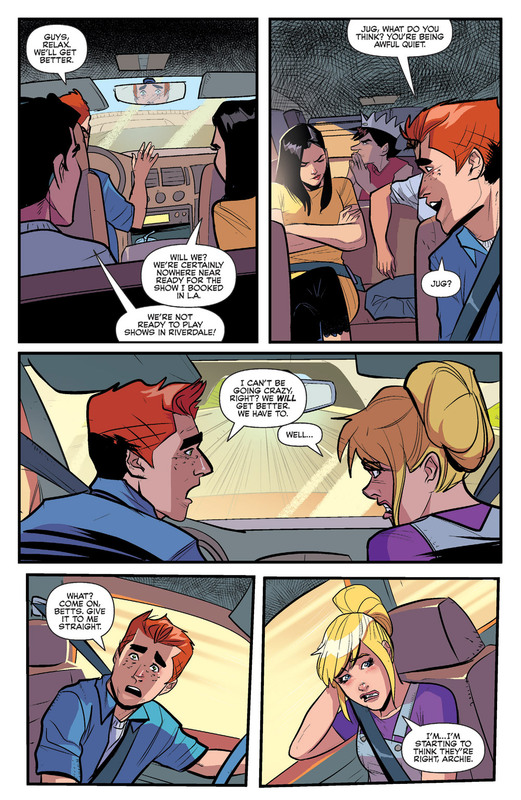 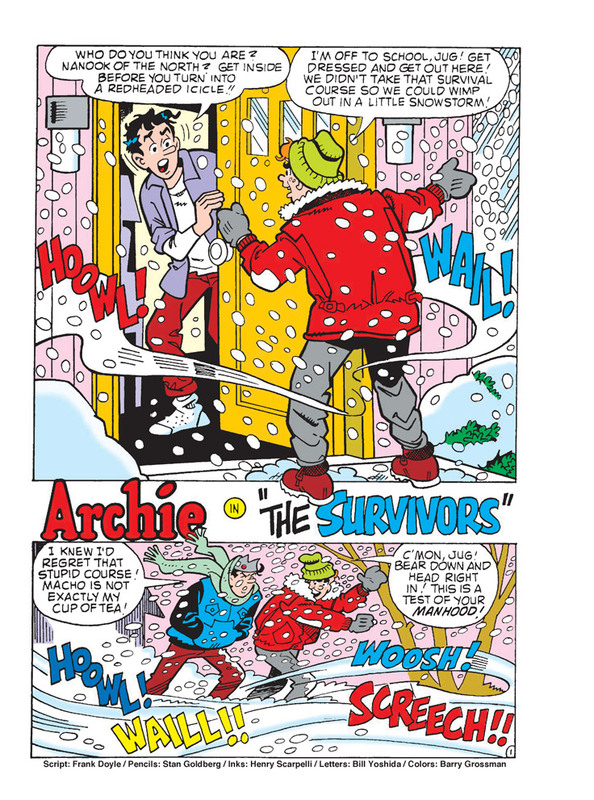 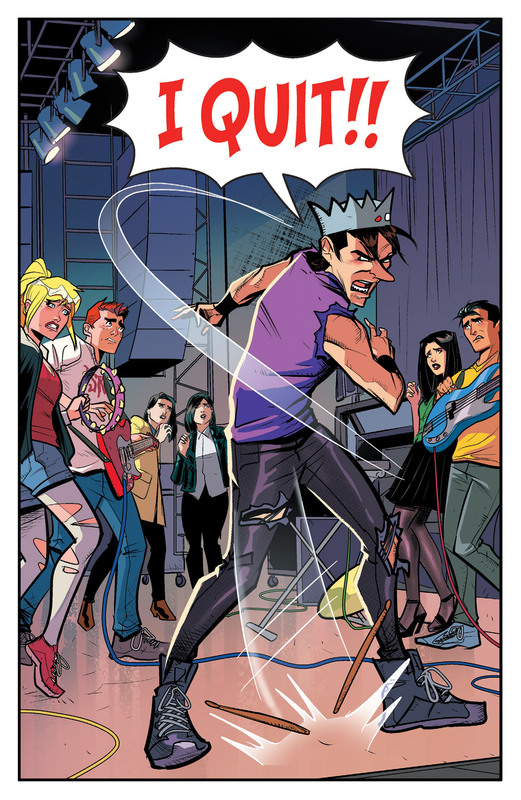 It’s the best of Archie’s all-new classic-style stories for one low price! 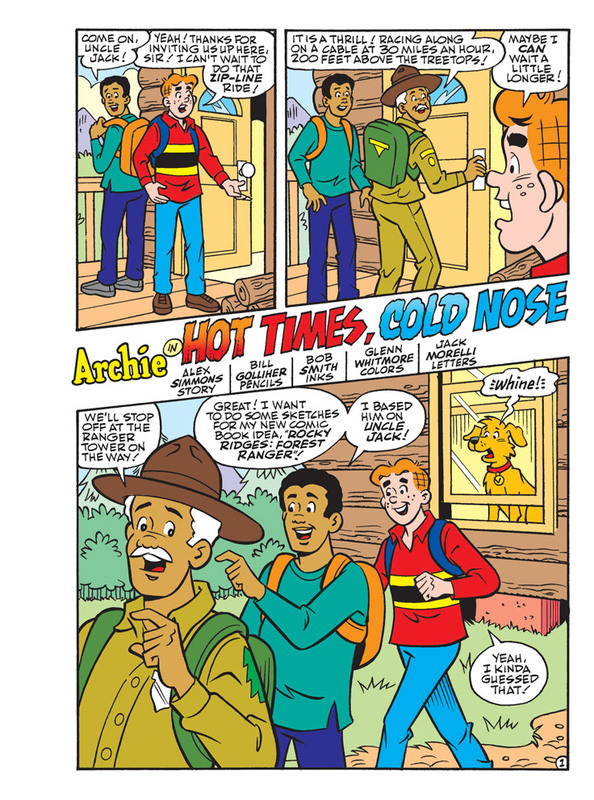 This inaugural issue features two stories filled with adventures in the great outdoors and mix-ups on the runway! 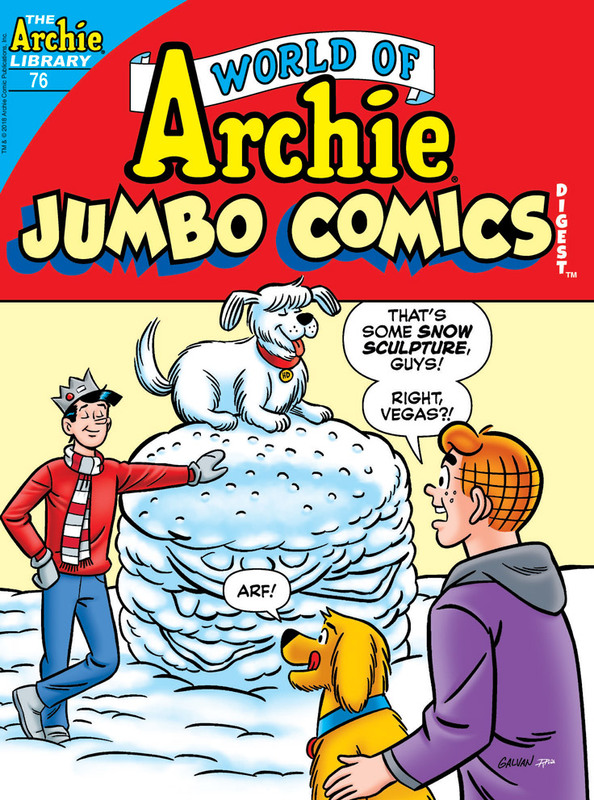 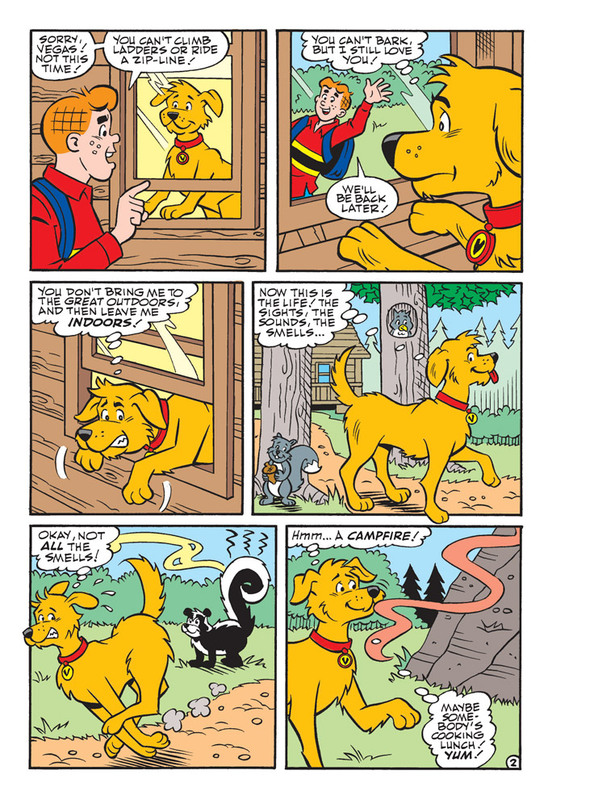 In “Hot Times, Cold Nose,” Archie and his dog Vegas are spending a weekend in the woods—but when Vegas goes off to has his own wilderness adventure, will he make it back to his owner? 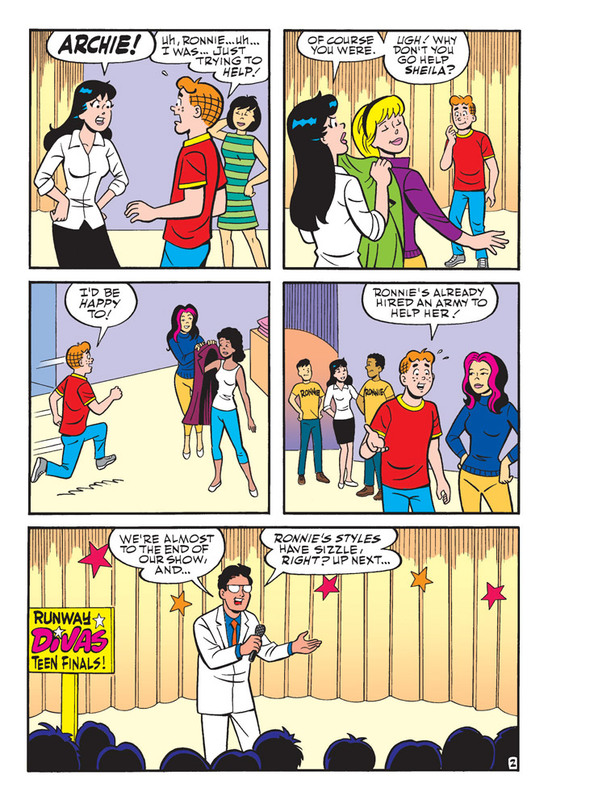 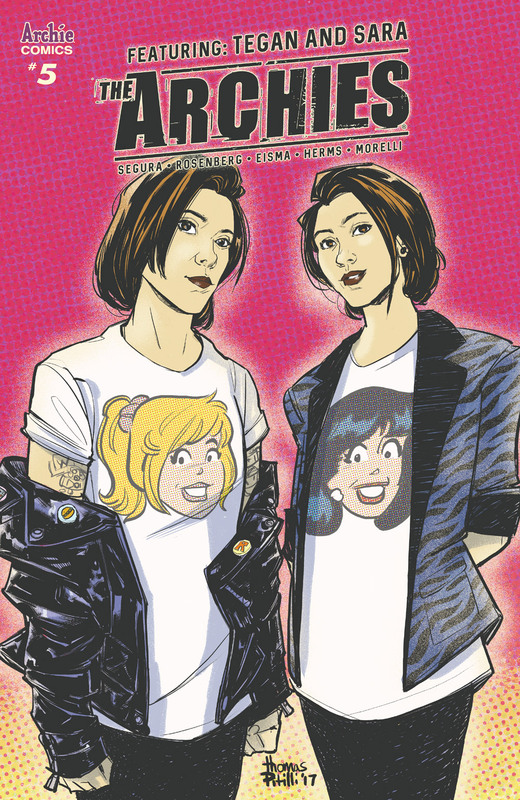 Then in “Run Away Runway,” the Veronica Lodge/Sheila Wu Fashion wars are in full swing, and the school career week projects have brought it to a head! 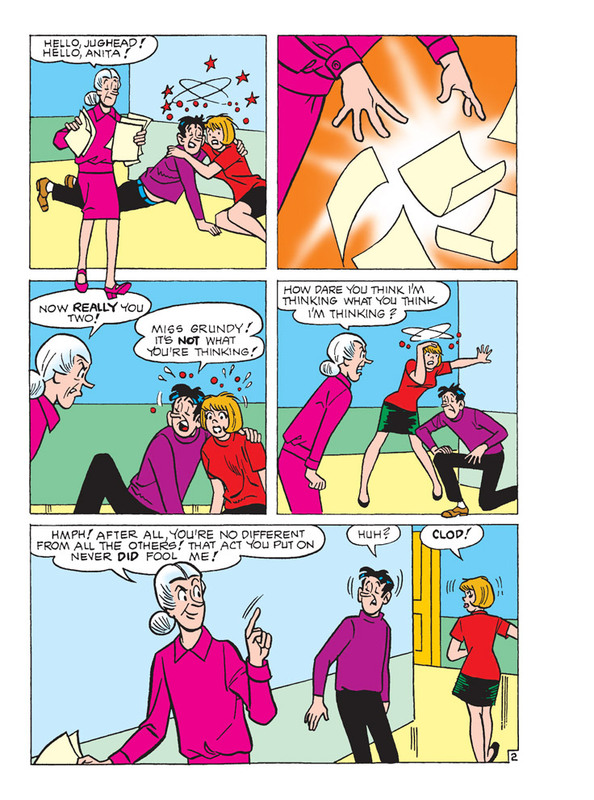 When Veronica tricks accident-prone Archie into helping Sheila out with her runway project, it’s sure to be a fashion catastrophe!